Headphones for small children can be hard to find. You have to worry about the right fit (not too big, not too small), the cord being a choking hazard, and the main thing – the sound. Headphones that are too loud, can result in hearing loss and damages to your child’s ears. No one wants that to happen. To avoid these problems, Snuggly Rascals makes damage-free headphones for children. Snuggly Rascals are ultra-comfortable headphones for children that have an 85-decibel limit to protect ears from noise damage. The fun, character themed headphones come in a variety of designs (Owls, Pandas, Kittens, Penguins, Monsters, and Unicorns). 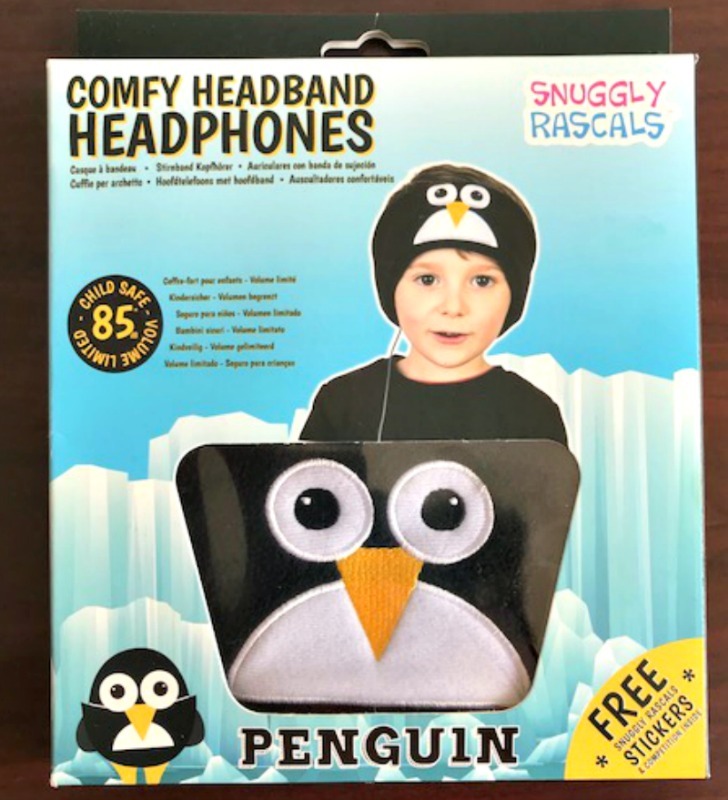 Snuggly Rascals headphones are recommended for ages 3 years and older. Snuggly Rascals headphones are made of 95% Polyester, 5% Spandex. Comfortable – made of snuggly, soft fleece fabric. More comfortable than standard headphones and earphones. Ultra-Flat Speakers – only 4mm thick and padded for extra comfort. The speakers are also movable. Place and fasten the headband, then move the speakers so they are over the ears. Volume Limited – maximum of 85 decibels to protect hearing. Machine Washable – remove the speakers and wash the headband at cold temperatures on the delicate cycle or hand wash. Air dry. Compatibility – connects to the majority of portable audio devices using 3.5 mm jack. The Perfect Fit – soft, adjustable Velcro closing enables a snug fit and they do not fall off like conventional headphones. Lightweight – only 50g which makes it easy to carry and pack especially when traveling. The next time you give your child a tablet, a phone, or any kind of electronic device, make sure you provide them with Snuggly Rascal headphones. Feel comfortable knowing that you are providing your children with safe headphones. Protect their young ears! Snuggly Rascals donates 10% of their profits to children’s charities each month. You can see a list of the charity they are currently supporting and have previously supported here. Keep up with Snuggly Rascals by following them on their social media channels. You never know when they will run competitions and giveaways. Don’t miss out!